Pioneers in the industry, we offer indo hygiene kent mop with handle, microfibre wet mop, wet mop, dry mop, dry mop - cotton and kent mop refill from India. Wet Kentucky Mops are in huge demand in the current market. These are important elements of bathrooms, corridors, all type of floors and are helpful in drying up wet floors by driving the excess water into drains. 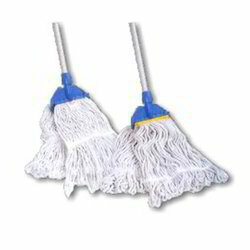 Our mops are using with high quality aluminum handle. Wet Mop - Microfibre offered are easy to clean, rinse as well as dry and feature use of highly absorbent and machine washable micro fabric. These can be made available with stainless steel dehydration bucket & mop handle and re lightweight as well as long-lasting finish. We offer our clients high quality Wet Mop for mopping all type of floors. Our Wet Mop consists of high quality cotton mop head of 300 grams. Our Wet Mop has long life and it is available at the most affordable price. 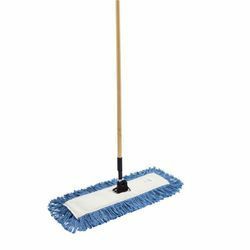 We offer our clients high quality Dry Mop for mopping all type of floors. 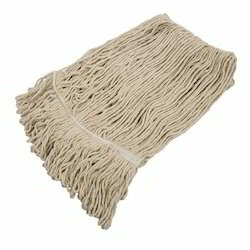 Our Wet Mop consists of high quality cotton mop head of 300 grams. Our Wet Mop has long life and it is available at the most affordable price. 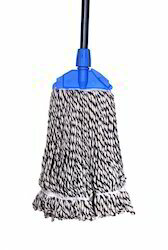 We are selling this mop in entire Delhi NCR. We offer our clients high quality Dry Mop - Cotton for mopping all type of floors. 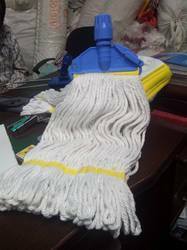 Our Wet Mop consists of high quality cotton mop head of 300 grams. 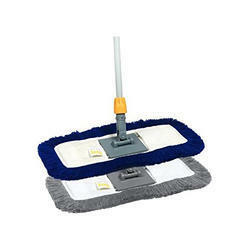 Our Wet Mop has long life and it is available at the most affordable price. Looking for Cleaning Mops ?